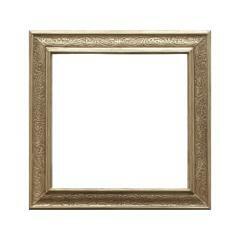 "The selection of a frame can make all the difference. It can subtley complement a painting or fight with it. You should always take time to consider how a frame will improve a painting. We are always looking for hand-carved frames from such framemakers as Frederick Harer, Ben Badura, Wharton Esherick and others. If you do not find a sculpture you are looking for, please call or email, we may not have cataloged it yet." An exceptional signed Harer frame. 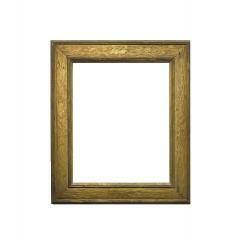 A beautifully hand carved frame with oak leaves carved on each side and a gold finish. Unsigned, this frame with a letter of certification by David Esherick certifying that it was made by his father in the 1920s.